Wargame Design Studios must be one of if not the busiest wargame coders at the moment. 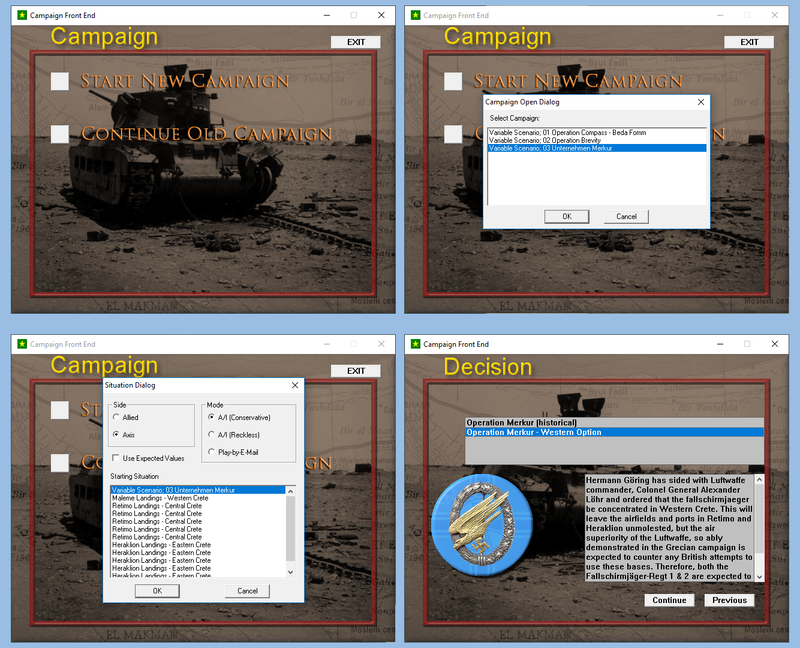 They have not only put out their three games based off the larger Tiller 'Panzer Campaigns', but are also upgrading what seems to be the entire older stable of the John Tiller Software stable of games. I have reviewed both of their other two efforts 'Panzer Battles Normandy' and 'Panzer Battles Kursk - Southern Front'. I was impressed by both games. The game play was great, but also the breadth of the games was impressive. These games come with a ton of scenarios, with many of these developed with the solo player in mind. So now I am stuck in a quandary. How does one review only half a game? PBNA 1941 comes with everything you would expect, and tons more. It comes with scenarios from 1940 and the Italian invasion of Egypt. 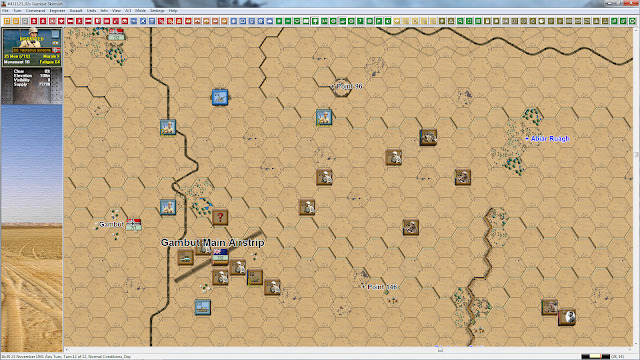 The other scenarios from North Africa are based in 1941 with the arrival of the Afrika Korps and that Rommel guy. This is probably the main attraction that will pull most gamers in. I, on the other hand, am on the opposite pole. Rommel schlommel; who cares about him? PBNA 1941 also has an ace in the hole for me, Crete and one battle in Greece. I do like gaming the 1940 Italian versus British campaign. 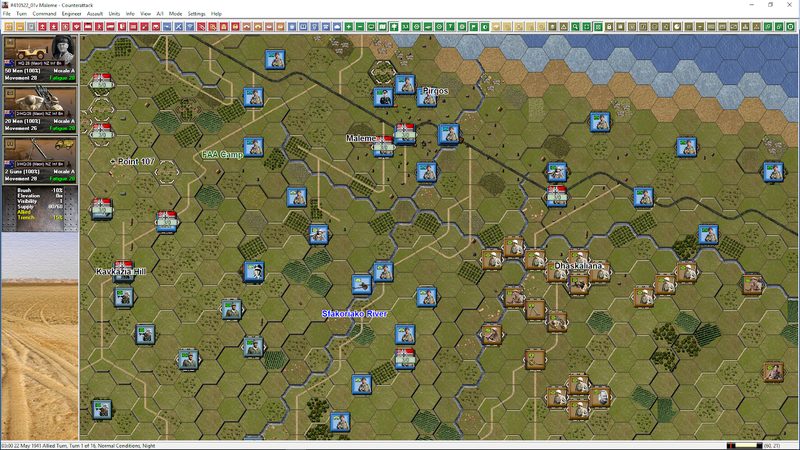 It pits a 1940 military (British) against a 1936 equipped Italian army. What the Italians did not have in equipment or leadership they tried to make up for in bravery (contrary to some history books). Unfortunately, this did not equal out the playing field. So for you wargamers' sakes I have had to bite the bullet and play a lot of British versus the Afrika Korps scenarios. 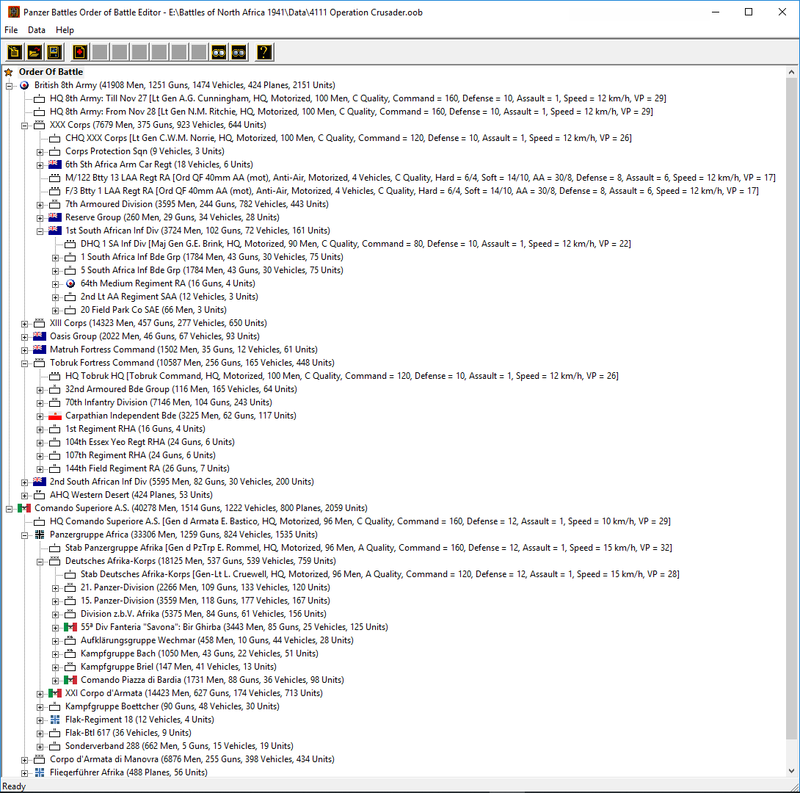 115 Scenarios – covering all sizes and situations, including specialized versions for both head to head play and vs. the computer AI. 8 Master Maps covering Greece, Crete and Libya and Egypt. The North Africa map contains over 1.23 million hexes. 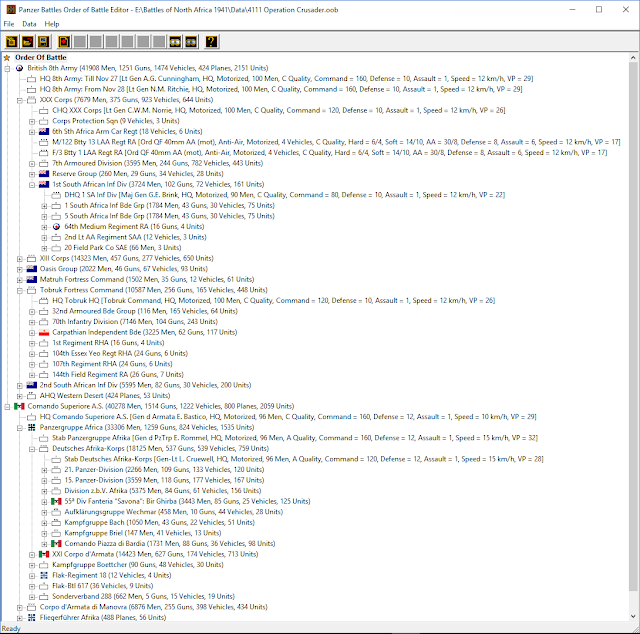 55 sub maps are included. The North Africa map area is over three times bigger than the map included with Battles of Normandy. 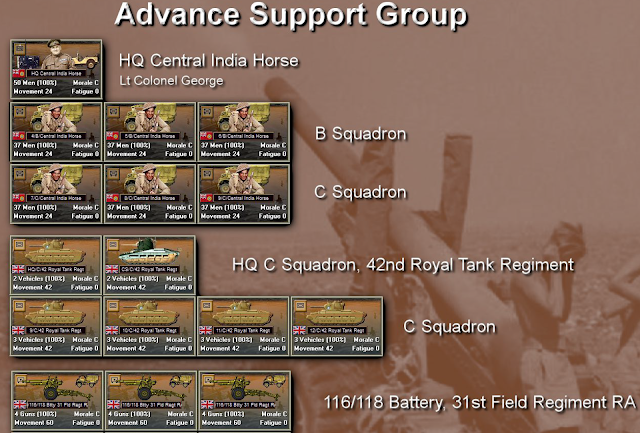 8 Order of Battles covering the evolving 1941 force mix for each side. The represented Allied forces include the British, Greek, Indian, Australian, New Zealand, South African, Free French, Polish and Czech. The included Axis forces are the Italians, Libyans, Wehrmacht and Luftwaffe. Various map graphics with a new visual style to improve height perception. Fortifications and other icons are integrated into the game map. Exceptional Documentation including an 85 page 'Visual Order of Battle Guide' and 159 page 'Designer Notes & FAQ'. Both are included with the game. In addition, for optional download, 340mb digital version of thirteen planning maps. 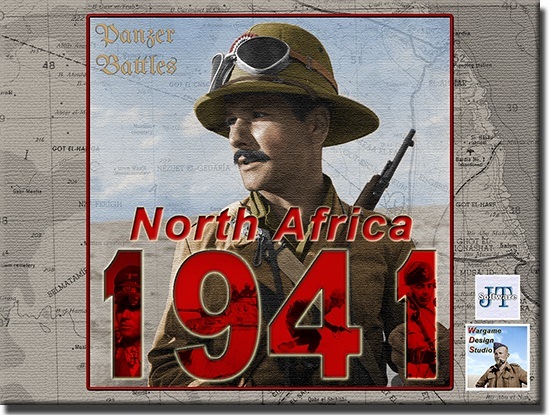 Battles of North Africa 1941 provides multiple play options including play against the computer AI, Play by E-mail (PBEM), LAN & Internet "live" play, and two player hot seat. In reality, I could just copy and paste one of the other 'Panzer Battles' game's reviews and change the name. They are all take offs from a long line of tried and true wargames. This is in some ways true and other ways not. Wargame Design Studio really makes an effort to put you, the player, in the seat that the generals had in World War II. They also have continually tweaked the original engine to make it that much better. To be honest, for me the one thing missing is some scenarios about the planned invasion of Malta. I am not much for what-ifs, but campaigns and battles that came really close to happening I am okay with. Corps, Brigade, Regiment, or Battalion, whatever you want to play for moment of gaming is here. 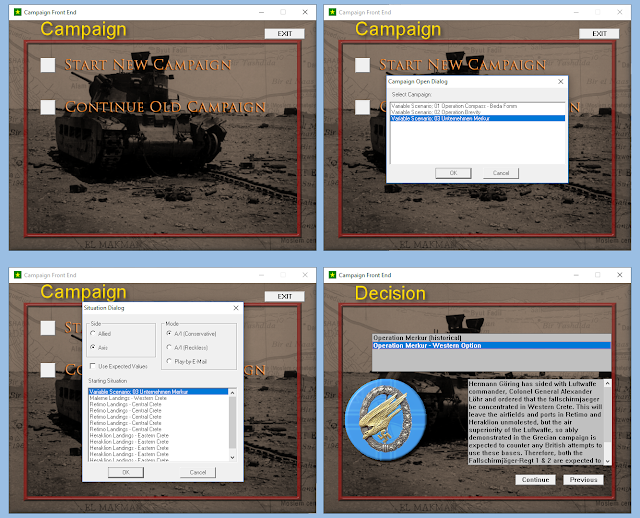 You can also play three campaigns: Operation Compass, Operation Brevity, and Unternehmen Merkur. The last one is Operation Mercury and the Battles for Crete. We have not even scratched the surface of the game yet. I have checked out all of the editors to make sure they work, but have not had the chance to delve too deeply (time is the enemy of all men). The amount that you can customize in the game is very impressive, both in troops, maps etc. The game comes with Unit Component, Order-of-Battle, and Scenario editors. So what exactly is new and earth shaking about this release? Absolutely nothing at all, but isn't every new game supposed to have a 'catch' or some gimmick? No, no, it is not. For those of us, and some newcomers, who grew up on hexes and these type maps and units, these games are the end all and be all. They give us the ability to play on a map that would take up the dining room table and more. We can also get in a move or a full game anytime day or night against a competent opponent. These games are why we bought our first computers, and most of the other ones (except for when we want to kill orcs etc.). We Grognards have had countless hours of enjoyment from John Tiller games. 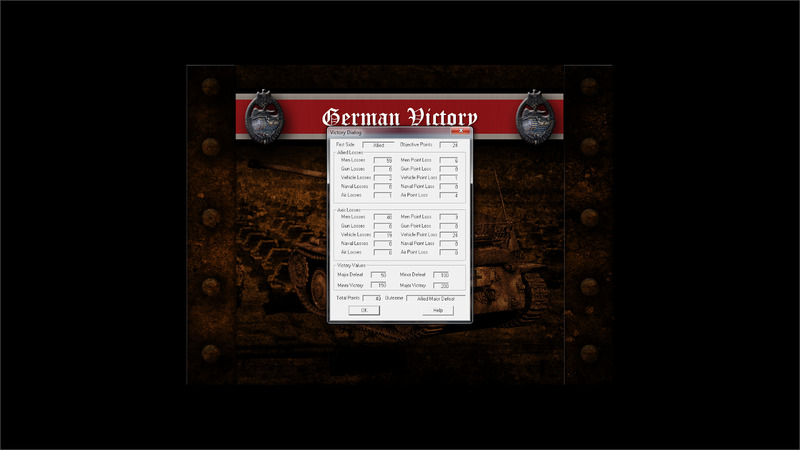 Now, with Wargamers Design Studio we can count on many more. Did I mention this game has a campaign and scenarios from the Battle of Crete!!! So, if you absolutely have to see if you could do better than Rommel or his British counterparts in the early Desert War, then this game is for you. If you want to try your luck at commanding the 'Hunters From the Sky' it's in here also. If 3D and maps with trees blowing in the wind is your gaming taste, either look away or try a sample of Grognard Pie. I will be heading to the American Civil War next to try out WDS's Petersburg. Happy Holidays.